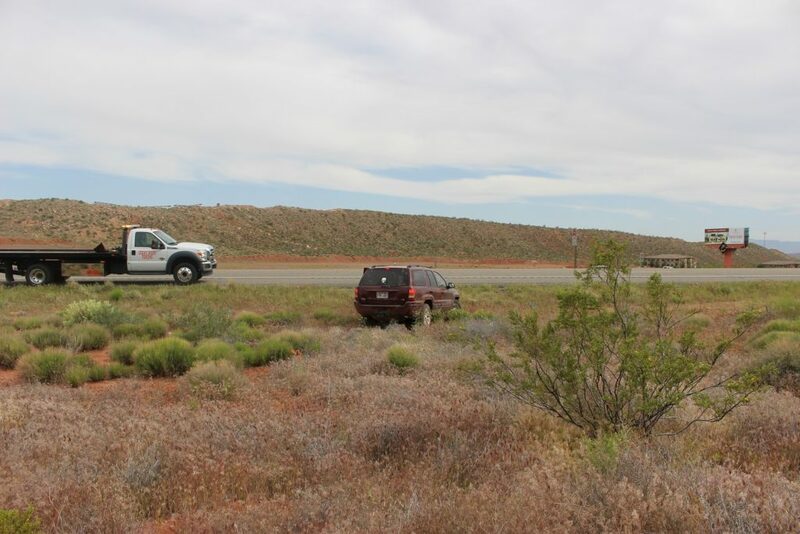 WASHINGTON COUNTY — A driver was injured after he lost control of his SUV that came to rest deep in the brush nearly a quarter mile off Interstate 15 Sunday afternoon. 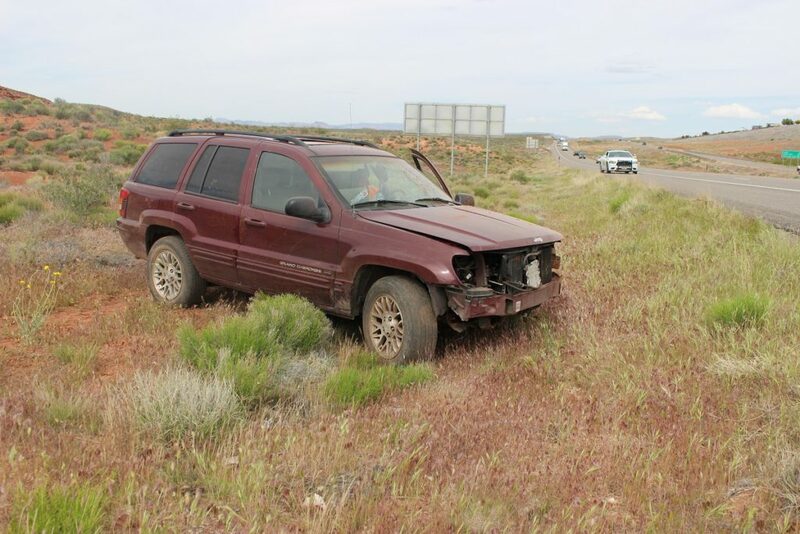 Shortly before 4 p.m., emergency personnel responded to a single-vehicle crash involving a maroon Jeep Grand Cherokee that was sitting in the brush off of the outside shoulder of southbound Interstate 15 just north of Exit 16, Utah Highway Patrol Trooper Brian Lacy said. Upon arrival officers found the Jeep’s driver who told paramedics he was in pain. He was transported to Dixie Regional Medical Center for evaluation. The driver told officers that as he was heading south on the interstate, he looked down to reach for his cell phone, and just as his eyes returned to the road, he lost control of the vehicle which began to veer sharply to the right. “It sounded like he reached down to pick up his cell phone when he was getting a call,” Lacy said. The car left the asphalt and continued into the brush until finally coming to rest just feet from a barbed wire retaining fence that runs along the interstate. 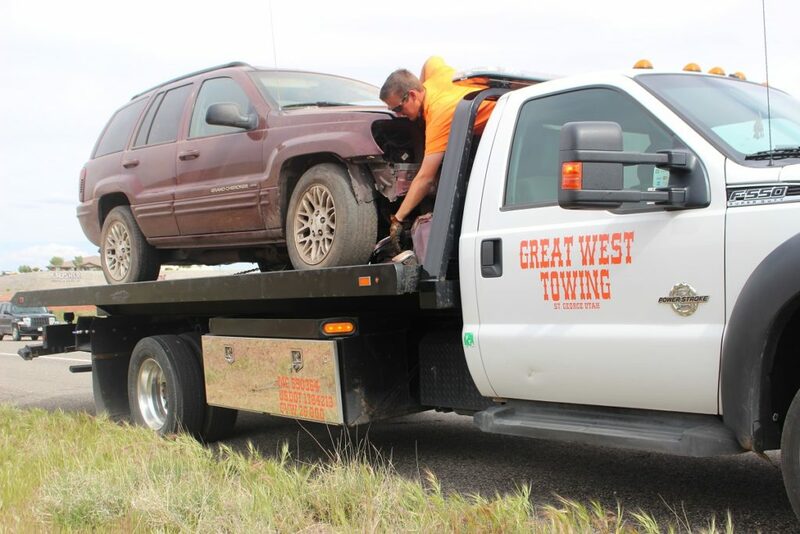 The Jeep sustained frontal damage and was subsequently towed from the scene. The driver was wearing a seat belt at the time of the crash, Lacy said, and the investigation is still ongoing. Lacy advised drivers to avoid any distractions like cell phones while driving. 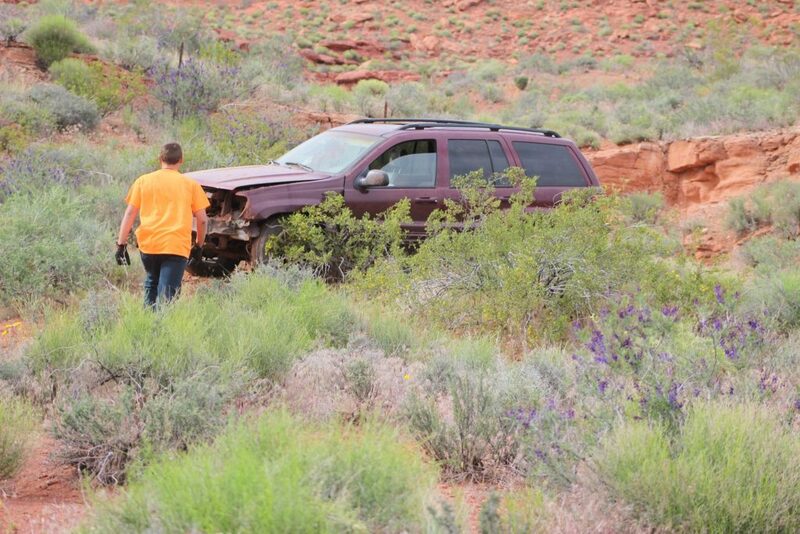 Utah Highway Patrol, Washington County Sheriff’s Office and Hurricane Valley Fire and Rescue responded and tended to the scene. Who wants to bet he was doing more than “reaching for a cell phone”. My bet is he was trying to send a text or fiddle with some app of some kind. What you tell the cops on scene is the difference between and expensive distracted driving ticket or not, and this guy likely should get a ticket.